QLD: Q&A Can Chairman Hold All 3 Positions on Executive Committee? You are here: Home / Committee Concerns / Committee Concerns QLD / QLD: Q&A Can Chairman Hold Multiple Positions on the Executive Committee? QLD: Q&A Can Chairman Hold Multiple Positions on the Executive Committee? A lot owner from QLD is wondering about the validity of the Chairman holding multiple positions on the executive committee. Frank Higginson and Todd Garsden, Hynes Legal provides the following response. Question: What is the lawful status of the chairman holding multiple positions on the executive committee? At our Residential community scheme the Chairperson has claimed the roles of both Chair AND Secretary. At our Residential community scheme, 7 people are on Committee and vote. The Chairperson has claimed the roles of both Chair AND Secretary. A different person is the Treasurer. In addition, there are 5 ordinary committee members. This equates to 7 voters but 8 positions. What is the lawful status of the chairman holding multiple positions on the executive committee? Answer: The required number of voting members is based on people not positions. The one person may hold the positions of chairperson, secretary and treasurer, or any 2 of the positions, in conjunction. The required number of voting members is based on people not positions. This post appears in Strata News #228. Question: At our recent AGM, our chairman received majority votes (9 votes for all executive positions). Our Body Corporate Managers advised us that it is legal for one person to hold all three positions on executive committee. I am an ex-treasurer for a body corporate in Queensland. At a recent AGM, both myself & the secretary had nominated ourselves for re-election. However, the chairman received majority votes (9 votes for all executive positions). Our Body Corporate Managers advised us that it is legal for one person to hold all 3 positions on the executive committee. My understanding is that ordinary committee members can be elected in order of votes received. Can you please advise if this view is still valid in cases of nominations received for these positions, or only valid in case of no nominations received? The Chairman has been holding all positions on the executive committee for the past few years and makes it difficult for others to participate and resolve issues within the complex. Answer: One person can hold all executive positions. If they get the votes, they get the votes. One person can hold all executive positions. If they get the votes, they get the votes. Ordinary member wise, if there are four or fewer nominations before the close of nominations they are all simply elected. If there are more than four, then it is most votes received on the ballot, and it is basically optional preferential voting. Owners could vote for all candidates or just two. It is up to them. If all owners voted for every candidate the final four spots would be decided a method of chance at the meeting. I have been at them where we have tossed coins and drawn straws to decide who gets in. And remember the chairperson is only one vote – not three. If there are one executive member and four ordinary members, there are only five votes. And if four are against the chair, then…. This post appears in Strata News #190. 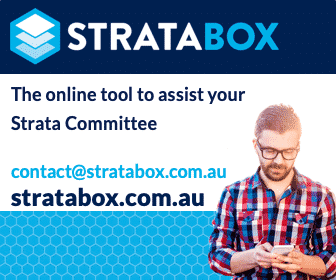 QLD: Q&A Body corporate committee voting – should each box be marked / ticked? I have an investment unit where there is a majority lot owner. This Lot owner has two companies that own lots in the scheme together totalling 68 lots out of 107. Recently the majority lot owner called for an EGM to stand down the current Committee and appoint a new Committee primarily appointing 5 representatives of their own companies and leaving two ordinary positions to be filled from the floor. I was voted to hold one of those ordinary positions. I note in a previous article that if the Executive Committee is filled by one owner (or representative of that owner) they only have one vote. Can you please confirm that given the facts as stated above, the majority lot owner has only one vote on the committee? At this same meeting a motion was put forward from the majority lot owner to change the Committee spending limit from $300.00 per lot to $1,200.00 per lot. At this same meeting a motion was put forward from the majority lot owner to pay all Committee members $5,000 each – no reason given apart from reimbursement of possible expenses in attending meetings. At this same meeting a motion was put forward from the majority lot owner to vote down two quotes for cleaning contracts for the scheme at a cost of $104,000 pa. and $145,000 pa, and vote for a their own motion that the Body Corporate should engage their own cleaners which can be looked after by the Committee at a cost of $175,000. As this majority lot owner is now controlling how the body corporate will be run, the remaining private investors are at their mercy. If you would be so kind as to clarify how many of the votes this majority lot owner has at Committee level would be a great start. The Module allows a lot owner with more than 3 lots to nominate up to 3 committee positions. That would be the limit for each separate entity. So it would seem that the majority owner (across his two entities) fits within this requirement. (c) engage a particular contractor – even if there is an interest in that contractor by a lot owner. There is no conflict of interest at a general meeting. However, all the decisions of the body corporate are subject to an overarching requirement to be reasonable. If one of those decisions, such as to choose the most expensive contractor over another (with no differing service level), was considered to be unreasonable it could be challenged in the Commissioner’s Office.